We offer a design & manufacturing facility - providing custom built solutions to meet individual requirements for both special laboratory and industrial furnaces and ovens. SGM incubators and ovens are designed to meet customized requirements of different customers, SGM as an experienced incubatorsand ovens manufacturer in India, produces standard as well as customized models. 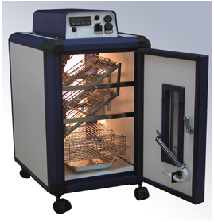 These Incubators and ovens come in various sizes and capacities.